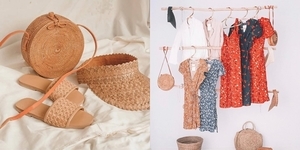 Lateral Thinking is the skill of thinking sideways, instead of vertically. Lateral Thinking gives students the power to think differently, innovatively and creatively. In a globalizing information-based economy, how to think will be more important than what to think and lateral thinking will give your kids a great advantage over other kids. 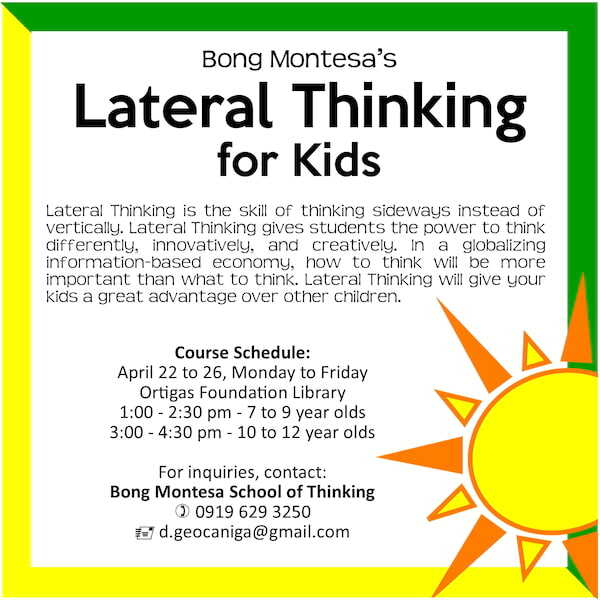 Enrol your kids in the Lateral Thinking course for kids on April. For inquires, contact Bong Montessa School Of THinking +63919-629-3250, emaiil: d.geocaniga@gmail.com.